I just want to share with you that it is one of the fun outdoor activities I tried. I always tell everyone that they should try it too. I’m like a saleslady, selling my product to every single person I’m talking with. I have been asking my friends, even people I just met who like going to the beach if they are interested in freediving, and I’m all so giddy if they say yes. You may ask me ‘why?’. 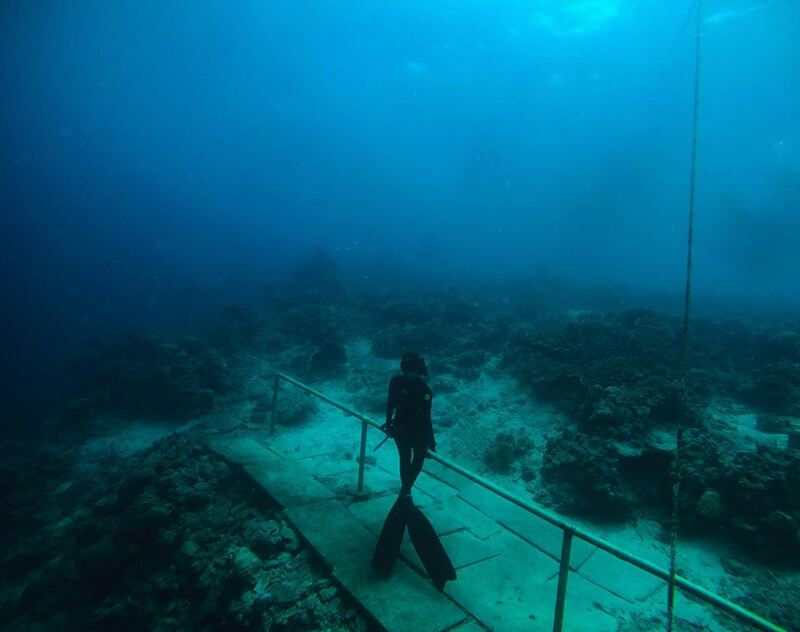 Why I’m happy if other people want to try freediving? It is because freediving opens me to a whole new world, (yep, just like the song in Aladdin) and it might do the same thing to others. I want to share that experience with a lot of people. Freediving allows me to dive with gentle giants and see the beautiful creatures (hi turtles!) of the ocean. It helps me connect with the same people who love to do the same. Most importantly, it helps me open my eyes to be more sensitive and to live consciously in this world. I learned that we have to make an effort to save what’s left to be saved and preserve this wonderful world of ours. We sometimes neglect the truth that we only have one home. It’s another long story of struggle and process for me, to be honest, but I will share about it with you soon. For now, you can check my blogs about those girls making an impact on this, especially a friend I met in Orca, Jillien. Together with my freedivers friends, we celebrated Orca Freedivers Philippines Anniversary in Lambug Beach, Badian. How to get to Lambug Beach? Lambug beach is a secluded beach located in Badian. This beach doesn’t only offer its white sand shores, but also its wonderful marine life. The very reason, why it is also a good option for us to celebrate Orca Family’s milestone. During our trip, we didn’t commute, but I can give you a guide on how to get there through public transportation. Go to South Bus Terminal and take a bus going to Bato-Barili. Travel time is between 3 to 4 hours depending what time you’re going to leave the City. The fare is around Php150.00. You can drop off in Badian Public Market, where you can take a tricycle going to the Lambog Beach. It might take you around 20 minutes to get there. The fare should not be more than Php50 (Mostly Php25-30) per person. Where to Stay in Lambug Beach? Grandeur Beach Resort – We stayed here. Since we were 30+ people during our visit. We almost occupied all of their air-conditioned rooms. We paid Php2500-2800 per room. Each room consists of 8-10 people. I think we paid extras since we tried to fit everyone in one room. Some decided to sleep in tents. Check their Facebook account to inquire. Lambug Beach Homestay – They offer rooms from Php500 to Php2000. You can check Airbnb or their website. Beachfront native Hut – This cute little hut is good for those who will visit Lambug Beach with small groups. They have only fanned rooms for only Php1800 per night. Book through Airbnb. The Hillside – I just found this place while writing this post. I might want to stay here on my next visit. It offers a wonderful view of the beach. The rate is only Php2500. Check in Airbnb for availability. P.S. Sign up through my Airbnb Link and get Php1600.00 for your first booking!! What happened during our trip? We all had our part to take during this trip. Food committee was divided into three, the dinner committee for the first day, and then breakfast committee and lunch committee the next day. As I was part of the dinner committee, we bought food on our way, cooked our dinner the moment we arrived and then we ate together. I met new members of Orca Family, and of course we can’t end our day without a little bonding session. After dinner we gathered and had a drinking session that lasted until midnight. Some decided to sleep early because we needed a good night sleep in order to have a good dive. Others, went on a night owl mood and experienced some funny scenarios with gays lurking in the area. As we all had a drink the night before, we were laughing and teasing ourselves that we can’t dive more than 2 meters below the water. HAHA. We tried to take a photo under the water TOGETHER, but we didn’t manage to go down the same time. I think each one of us was waiting for someone to dive first, then most of the people dived when there were a few people already down. Hahaha. Our coach was the one taking the video, some already were going up, then some are still going down. It was really funny because we did it a lot of times, and all of it turned out the same way. Nevertheless, we had some fun during our Anniversary trip. P.S. I will surely share more videos with you during our freediving trips so do not forget to subscribe to my YouTube channel! Hope you enjoyed this post and comment below if you have any diving sites you want us to visit!